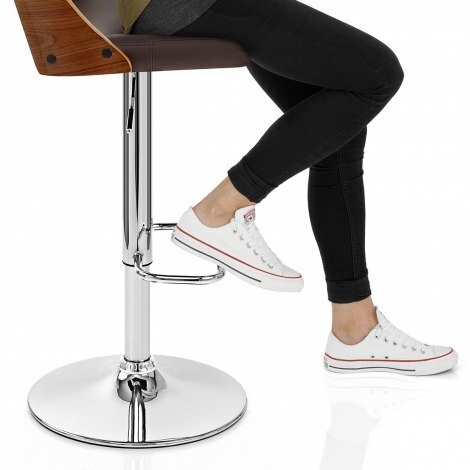 Feel the love with the Carmen Real Leather Bar Stool Walnut And Brown. This smart stool exerts a calming influence over the bar area and beyond, thanks to its delicate blend of the rustic and the contemporary. So treat yourself to something special with the Carmen. 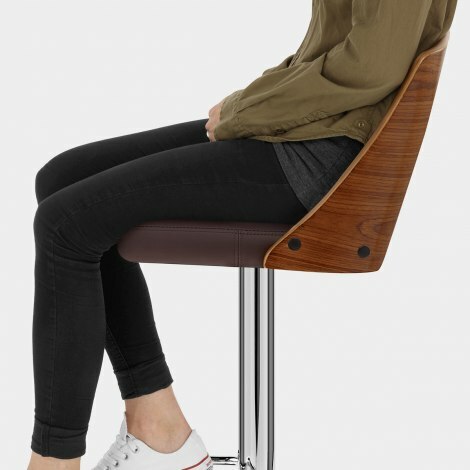 Its bentwood seat connects to a supportive backrest for comfort. A central space between the seat and backrest allows the Carmen to exude charm without overpowering your surroundings, while an extravagant real leather seat pad is quietly luxurious. Alongside this, a central column houses a variable height gas lift mechanism alongside 360 swivel, while a rectangular footrest invites you to you relax for hours at a time. Finally, a protective rubber ring works with the underside of the base, effectively minimising marking to your floors. "These are comfortable and very classy looking"
Bought two of these stools for my kitchen in brown leather. They arrived quickly, were easy to assemble and look really classy and expensive. They’re comfortable too. The leather and wood are great quality and overall the finish is very good. 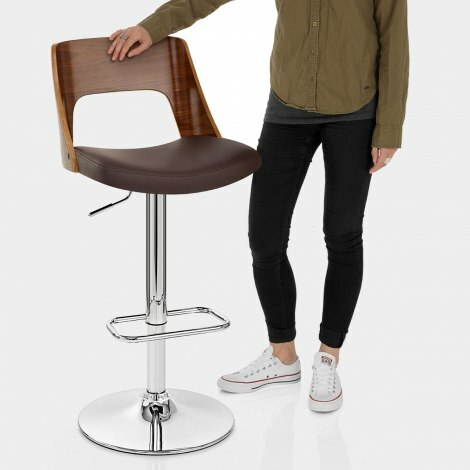 Been looking for replacement stools and wanted leather. Saw these and thought they looked different and the wood matched the floor colours. Really pleased with them and visitor's to the house have all said they really like them great delivery service from Atlantic too. Really pleased with appearance, quality and comfort. I was looking for bar stools to go under the new island in the kitchen. I saw these bar stools and liked the style and colour. Delivery was quick. They arrived at the time I was given. They were really easy to assemble and look amazing in the kitchen. I am so glad that I purchased these stools.